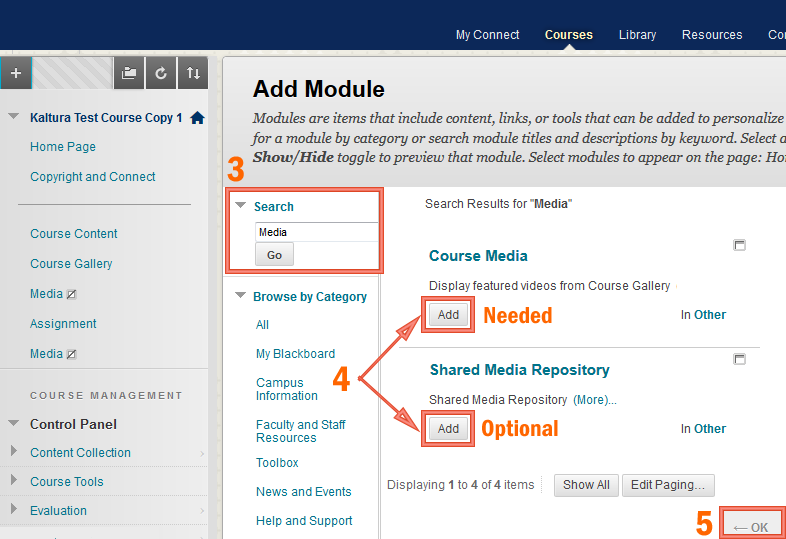 “Course Media” Gallery (or Course Gallery) is a course tool allowing the members of a course to view videos contributed by the instructor and the students enrolled in the course. 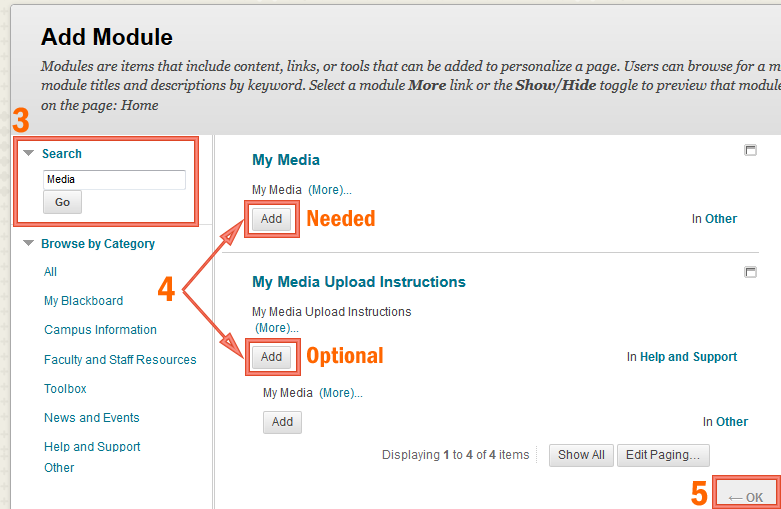 The instructor and the students can contribute videos from their personal library (My Media) to the Course Gallery. 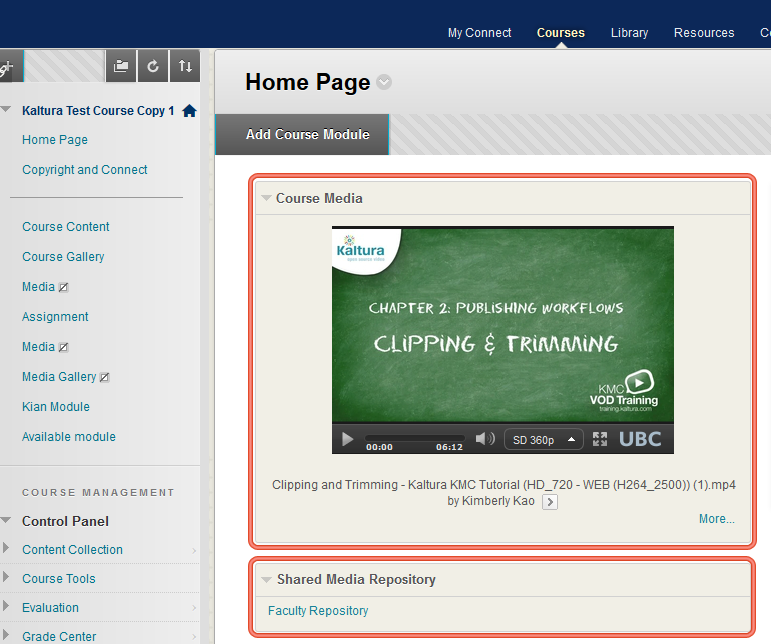 The instructor can also directly publish videos to the Course Gallery. 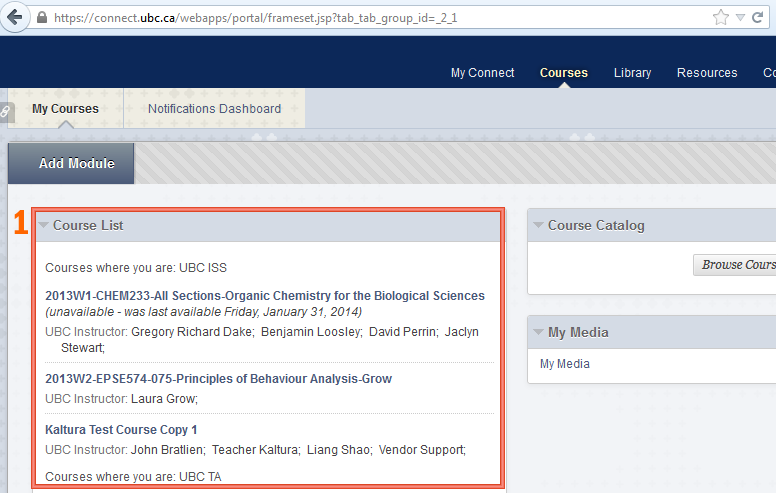 Videos contributed by students need to be approved and made visible by the instructor.